Daniel Choi began his mandatory military service on October 2, 2015 and did public serve work. Daniel Choi was discharged from the military on September 29, 2017. His first acting role after being discharged is drama series "Jugglers." Cecil Apr 12 2019 10:59 am I'm amazed by how rich the emotions he acts at the ghost detective. I, then, watched jugglers and his act doesn't disappoint me too. He is such a great actor and I really wish he has the recognition that he deserves. Nana Mar 14 2019 7:53 pm What! He is 3 years younger than me? Grace Nov 30 2018 6:44 pm He is versatile actor , charming, and handsome as grow older. I don’t know, something about Daniel that very attractive , he sure has charisma, looking soft and innocence but manly too. Heard he is a good guy irl too. Such gentleman. Hope he will pick the right projects in future so he can be more popular . please keep yourself humble . We international fans , love and will always support you. GM Queen Nov 28 2018 7:25 pm No doubt! You are the most talented & most handsome K-actor I know! ❤❤ Your performance in "The Ghost Detective" is outstanding! ❤❤ Now, let's grab some awards & ALL THE BEST!!!!!! Felda jerangau Sep 06 2018 7:05 pm I'm hooked with your character in the ghost detective..damn it..it so good..best drama ever..your deserve daesang for it..the production team did good job pick the perfect character for you...and high kick 2 never get old...lee ji hoon shi....? Chelly Sep 06 2018 4:07 pm I've already got thru first episode of the ghost detective and he already got me hooked! that profile pic isn't giving him justice! that man is too handsome!!! ralali ilali Aug 31 2018 9:05 pm why he so handsome??? Jackie Aug 07 2018 12:44 pm I first saw him in school 2013,but I liked Daniel more in highkick 2 ,I've just finished watching it and I was like am interested in seeing him in more other kds,though apparently am mad about the ending of high kick 2. But anywhere 1st time seeing u but like ur style. Looking forward to see u more. Rina Jul 23 2018 1:35 am I love you Choi Daniel. You're so handsome!!! Sally Asay Jun 08 2018 1:44 am Daniel Choi is one of the most handsome men I've ever seen...and I'm married to a pretty darned good looking guy! Leave the glasses on - makes you stand out from the crowd of handsome men out there, AND go for more roles like Jugglers! That was soooo fun to watch - did it twice! Just a side note here: You have the best lips of anyone - they are beautiful, and your kissing scenes make me CRAZZZZZYYYY! W Jun 05 2018 9:53 am Is it just me? He's a mix of Chang Kiha and Lee Yi Kyung. Lore Apr 16 2018 7:35 pm He looks like Clark Kent ? BeYou Mar 13 2018 9:19 am cool ????? pastelbee Jan 17 2018 12:16 am The chemistry with the female lead in Jugglers is so real..Aigoo ...love them much!Cold but warm inside..
Queenbee Jan 12 2018 6:54 am everyone who is recently discharged from millitary service always looks so hot *.*. Love you in "jugglers" choi daniel ! Maria Dec 26 2017 3:46 am Enjoying his new drama Jugglers! tncdel Jul 06 2017 12:09 am Good acting ability. Would like to see him in the lead role of a historical drama. LadyG Mar 16 2017 10:27 pm Love this man! He needs to come back to dramas, he was fantabulous in Ghost and Big Man. Hope he gets one again soon! A starring role is preferred. X2 Dec 08 2016 6:12 pm I'm completely in love with you after watching Babyfaced Beauty. You are so amazing in which you portray & act naturally how a young man to be in love the first time. Wow, daebak! More over you are so so cute & handsome. Elizabeth Oct 09 2016 11:44 am He left for military service October 2015. He will serve for 24 to 36 months. Happy Sep 30 2016 5:09 pm Where are you Daniel Choi? I miss your cute smiles already... Wish to see you again in current dramas hopefully with Jang Nara or anyone else as long as he comes back. 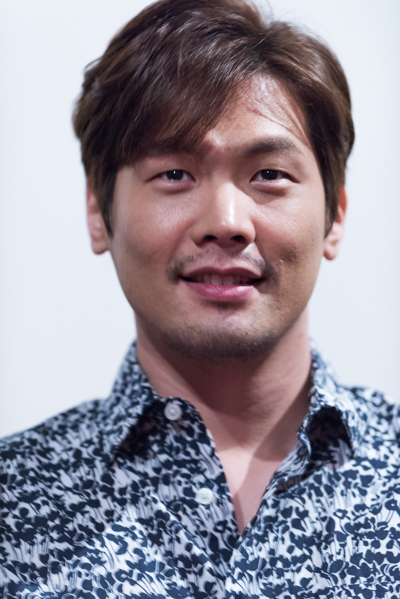 phoenix_fire Dec 14 2015 9:16 am Choi Daniel is another one of those underrated Korean actors... I enjoyed his take on Kang Se Chan in School 2013. I wish he will have more dramas and films... He's too good an actor to just have cameo or guest appearance. He should be lead actor!!! made Dec 13 2015 5:09 pm Oppa i love you so muchos. isabela May 14 2015 2:34 pm I really like watching ur dramas, i became a fan since i watched baby faced beauty. You are a very good actor. Hope you have more good dramas in the future. I love your smile..keep on smiling..
jual sketsel Mar 31 2015 1:12 am daniel so handsome, i watch every movie and tv off him..
jenny Oct 11 2014 4:31 am Pls make another drama for choi daniel...the lead role oppa... im an avid fan..I love ur smile..its very pure and innocent..I love ur character in baby faced beauty. . Keep up the good work.!!fighting!! Yanni Sep 24 2014 6:56 pm Hes a great actor....love hes acting in Baby Face beauty, He makes me laugh a lot :-D Hes awesome in Big Man too and He's other dramas! Daniel Choi FIGHTING!!! cartriwa501 Jun 22 2014 10:26 pm Choi Daniel hve done such a great job as Kang Dong Seok in Big Man.. loved him so much!Great Actor! Completely drown in Kang Dong Seok's perfect heir.. prince charming Kang Dong Seok! Go go go Choi Daniel! CICI Jun 20 2014 6:42 pm GREAT JOB, DANIEL in "Big Man". You were absolutely the BEST from beginning to end. Genesis May 29 2014 7:49 am I am an instant fan....I saw you in Phantom and now I want to watch everything you've ever acted in or been featured in....that might sound insane. I think you are extremely handsome and have brilliant on-screen charm. I look forward to seeing all of your future television dramas and major movie screen films. Continued success to you Mr. Choi in your acting career and in your life. On the other hand, I saw a picture of him in lab/doctor's coat, anyone remember from which show he played a doctor? Mimi Feb 21 2014 3:45 pm First of all Happy Birthday!!! Wish you all the best especially happiness. I must say that even though i don't know you personally, i think you're a great person. I unanimously agree with the rest of the comments... you have a great smile :) May you keep being a blessing to the people that surround you everyday. Keep up the good work....Fighting. saptha Feb 09 2014 7:33 am I really like you very much !!! of all anticipated male actors you are one of the lead who has amazing style !! please dont change your style or looks, stay how you like to be. You totally rock , really like your smile and voice they are amazing !!! :) Your image perfectly suits a lot of characters romance, action.thriller, melodrama ! wow multi talented !!! Anticipating your next drama/movie :) All the very best. Kiara Jan 14 2014 11:19 am I don't know what to say... I really like your smile.It has something that I can't explain.you are really lucky to have it.I wish u very best..!!! woojungie Jan 11 2014 4:42 am Smile and eye-smile totally adorable. When he wears glasses he is a smiling Clark Kent. I am just totally drawn to the tall, handsome man who is a little quirky in a cute way. Did any of you see how he gazed at Hwang Jung Eum in the famous scarf kiss? Gaaaah, fangirling and swooning here. If by chance I get to meet him, my legs would buckle, for sure. CICI Jan 05 2014 5:57 pm I was so happy to see that Daniel Choi won an award for Expect Dating at the KBS Drama Awards for 2013. Whenever I see him whether it's in a drama or interviews he is so sweet, with the shyest cutest smile and is so down to earth for such an excellent actor that can do every acting style equally great. Although I am madly in love with Kim Jae Wook, the actor I would most like to meet if I ever could is Daniel Choi..well, wait a minute, Kim Jae Wook is sweet, shy, cute smile, excellent at all styles of acting too and down to earth..Oh, I do have to meet them both after all!! Love you Daniel Choi. Congratulations and I look forward to seeing you in many more leading roles now. pema Oct 22 2013 9:27 pm He is cute. His smile is mesmerizing. chanana Mar 22 2013 12:05 am i never had any idea he was the same person in within world and school 2013. never! Annie Feb 21 2013 4:18 pm Happy Birthday, Daniel! And many more! CICI Jan 30 2013 2:55 pm I first saw Daniel Choi in Babyfaced Beauty and really liked him a lot. After seeing him in School 2013, he is one of my favorite Korean actors. I hope he gets more leading roles with happy endings. All the best, Daniel. Kathy Thacker Jan 15 2013 5:01 pm I am a big fan. I am loving this new drama School2013. This drama has me hooked on it from the start. I can't wait to the next episode. I am going to watch the other dramas that I haven't seen you in yet. Please make many more. Nicky Sep 09 2012 12:13 pm Daniel...I really would like to see you pick a leading role in a very dramatic & romantic tv show, so you could show everyone how talented you are! I really liked you in baby-faced beauty, but the story is a little bit too light for me. I want an intense, heavily dramatic drama, but with HAPPY ending though, not twist ending like High Kick2. zimi May 13 2012 11:00 pm i just wanna say that i love you, hyungnim.... cant wait Ghost to see u again. Chelsy Apr 28 2012 1:08 am He looks a bit like Rain!!! CUTE!!! hanimasyi Jan 08 2012 5:32 am dangshin jebal miso obsoyo! hanimasyi Jan 08 2012 5:27 am he 's smile super duper hot!!! arrrrrrrrrgggggggggg saranghanda!! hanimasyi Jan 08 2012 5:26 am nega jongmal saranghanda!!! joanne vann Oct 16 2011 8:30 pm On episode 12 of "Baby Faced Beauty" and After watching at least 40 korean dramas in the past 4 months. (10 to 20 episodes a day) I have to say This guy is fantastic and I've seen all the English, American and Austrailian series already so Daniel is one of the best. He is cute but can be totally serious and he makes you want to root for him to survive or get the job done or get the girl. Being an old lady I can still say he's good looking enough for Hollywood but hope he doesn't go there cause they would ruin him. koreandramafanatic Sep 29 2011 1:18 pm I love him so much! PuKa Aug 23 2011 6:15 pm I really liked his character in Babyfaced Beauty! I saw in a interview that his parents gave him a Bible name (Daniel) because he was a miraculous blessing from God. His father had a vasectomy & Daniel was born after. & I believe he is born & raised in Korea. chaimoon Jul 04 2011 9:37 pm He was two different persons in Worlds Within and Babyfaced Beauty. In both cases he was crazy with the leading lady. And he was so wacky, crazy, childish sometimes irritating in both! I hope to see him in a better role in his next drama. Leena Jun 30 2011 9:53 pm Adorable. Jun-Yeon Jun 28 2011 6:44 am oh he's so adorable and sweet~! ^^ but is he rly married? i thought that was the man who plays ji seungil in baby-faced beauty. well anyway Daniel Choi is so cute~~~~~~~~~~~~~~~~!!!!! Ccan Jun 08 2011 9:22 am i heard from my cousin that he's married with 2 kids??? can someone pls tell me it's not true??? jane May 04 2011 2:56 pm LOL look at these comments! No, he's not gay. Yes, someone was talking about the wrong Daniel Choi. That comment was from TWO YEARS AGO. someone should leave a nice comment here already. jjang Dec 17 2010 6:21 am that person is an idiotic moron. Roland Dec 11 2010 4:55 am A person makes an honest mistake, and right away he gets called an "idiot" or "morron"? Come on, guys, we're better than that. Who among us is perfect? And you wonder why our world is so messed up? Lee Jul 08 2010 2:02 am I think he's cute especially in his role in Worlds Within as a j0logz admirer of s0ng hye kyo,hehe.. His face lo0ks so funNy, what m0re if he craCk his lines,haha.. Great j0b! bithy Dec 03 2009 9:30 pm Hahahahaha! yeah, wrong daniel choi. random Nov 06 2009 4:22 am wrong daniel choi.... idiot..